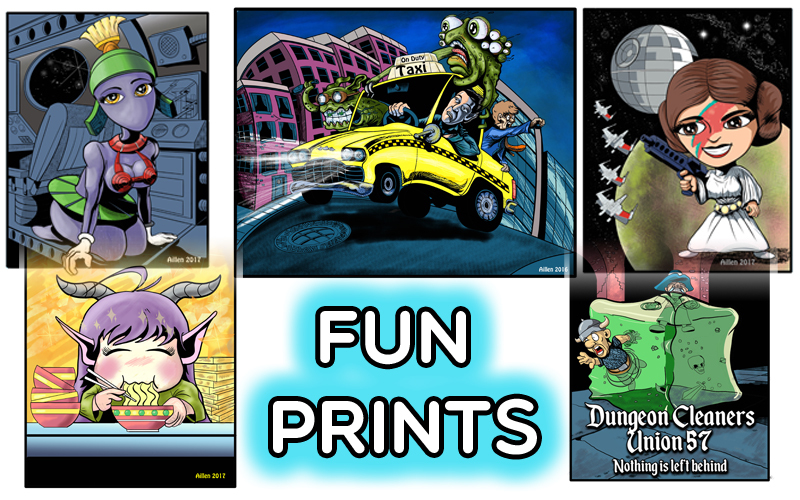 All of my prints are printed on 80 lb semi-gloss or full glossy paper. Each one is placed in a 2mm magazine sleeve with a card stock backing for support. Each of my prints are a tribute to one or more fandoms in the geek community. 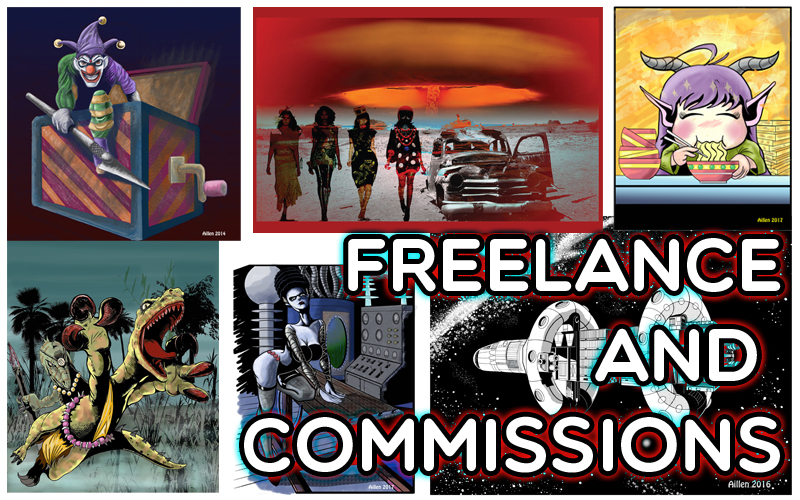 Thoughout the year I will be doing tons of new illustrations and cartoons, so every month there will be a whole new batch of prints for you to choose from. Working in collaboration with authors and publishers, I provide advice and a creative eye to create a cover suited to the genre, characters and themes. My clients are treated with the utmost professionalism in every way. A big part of this business is getting the work done on schedule – I am proud to say I have never missed a reasonable hard deadline in 26 years. 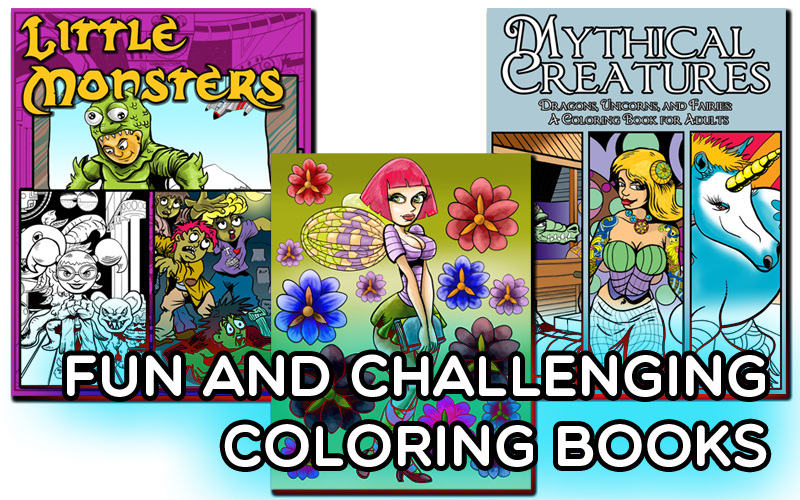 Choose from a growing collection of coloring books and printable pages! Through our Etsy site, you can purchase copies of your favorite pages, then either print out or import into your coloring app.